The SIHH 2011, or Salon International de la Haute Horlogerie started last Sunday and all 19 exhibitors are flooding press, social media networks and watch forums with information about their new watches. Below, you’ll see an overview of what I think are the most interesting watches presented during the SIHH 2011 (till now). For your convenience, I categorized them per brand in alphabetical order. The ‘other’ brand from Glashuette that wants to – and perhaps can – measure themselves with the top of the bill haute horlogerie brands from Switzerland. 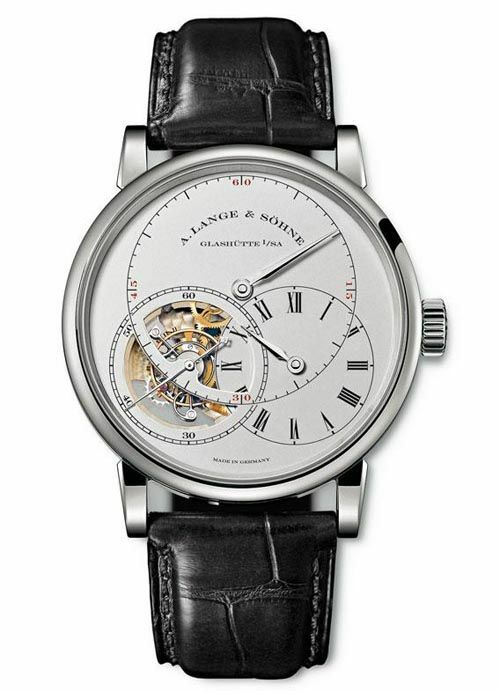 Besides a few impressive new Saxonia timepieces and the Lange Zeitwerk Striking Time timepiece, A.Lange & Soehne introduces the RICHARD LANGE TOURBILLON “Pour le Mérite”. You probably wouldn’t have guessed, but I love regulator dials. This extraordinary regulator dial has a skeletonized lower left sub seconds dial that reveals the one-minute tourbillon with patented stop seconds. This 41.9mm diameter watch will be available as ref.760.025 in platinum (100 pieces) and ref.760.032 in red gold. 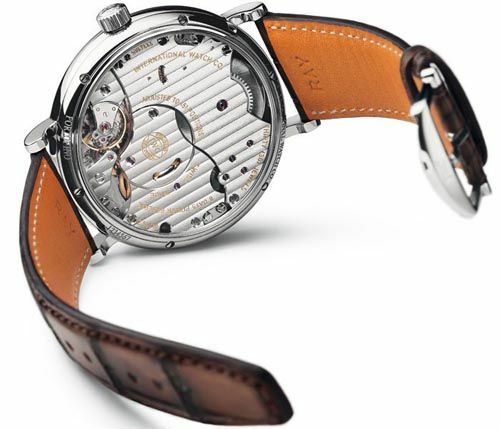 The movement inside is caliber L072.1, 33.6mm in diameter, 26 jewels and has a power reserve of 36 hours. 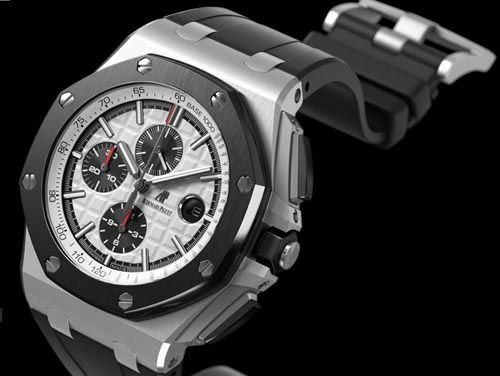 AP seems to be focusing on the Jules Audemars collection this year, perhaps to save-up Royal Oak developments for next year’s 40th anniversary of this iconic model from Gerald Genta. A while ago I covered the new Jules Audemars Extra Thin here at Fratellowatches (click here). During SIHH 2011, AP demonstrated the Jules Audemars Extra Thin, Dual Time and Moon Phase Calendar. More about these Jules Audemars timepieces in another blog post. Despite next year’s 40th anniversary, the Royal Oak Off-Shore Chronograph does get some attention this year. It is in the details of course, especially for all you non-Royal Oak fans out there, but it differs quite a bit from the current/former Off-Shore chronograph collection. As far as I know, the new Off-Shore chronograph will be in production next to the existing models (such as the Safary, Navy, Themes edition etc). 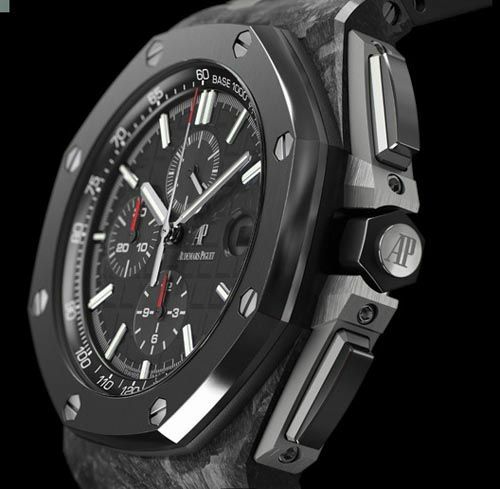 It is – surprise – a non-limited production model, 44mm in diameter and with a display back to show-off its movement. Besides the larger diameter, the bezel, crown and pusher are made of ceramic material. On top of that, the chronograph pushers, winding crown and crown-guards have a new design. Prices start at $28,100 USD for the stainless steel model (ref.26400SO.OO.A002CA.01). Expect to pay more for the forged carbon (ref. 26400AU.OO.A002CA.01) and gold (ref.26400RO.OO.A002CA.01) models. The watch manufacture from Schaffhausen seems to have re-rediscovered (or revamped) their Portofino collection. Now, there’s the Portofino Chronograph, Portofino Dual Time and last but not least, the Portofino 8-Days. 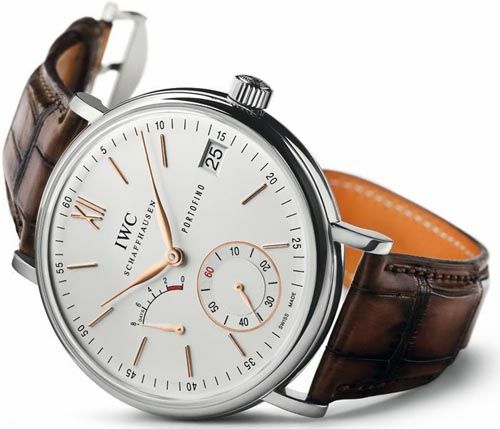 The last one is my favorite Portofino model (ref.5101) and perhaps even in my current top 3 favorite IWC watches. The distinguished ‘Max Bill’ look of the dial with its creamy color, gold hands, hand wound movement and the strap created by Santoni (love their shoes) was bulls-eye for me, until I read about the size of this watch. A whopping 45mm seems to be a bit to much for a dress watch imho. However, let’s wait and hopefully try it on in the near future. Hand wound caliber 59210 movement with a pocket-watch diameter (37.8mm) has a power reserve of 8 days, as indicated on the dial. If there is one brand making name before and during the SIHH this year, it’s Jaeger-LeCoultre. The new Ultra Thin Reverso already got a lot of attention before the SIHH, Jaeger even launched a virtual museum for their most iconic timepiece. 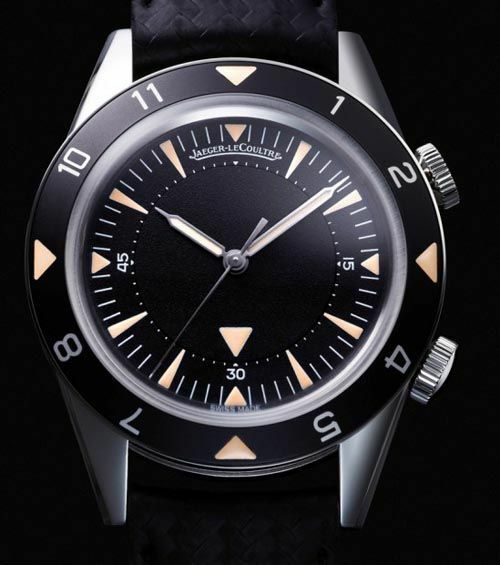 However, if I had to pick a Jaeger-LeCoultre timepiece, it would be the new Memovox – Tribute to Deep Sea (Q2028470, 959 pieces only). For 9.500,- Euro, you’ll buy a very impressive replica of the Jaeger-LeCoultre Classique 1959. The alarm function of the Memovox timepiece is – I think – one of the most interesting and useful complications in a mechanical watch, besides displaying time and date. JeanRichard, formerly known as Daniel JeanRichard, introduced a few very interesting timepieces as well. The Highlands sports model and the classic Bressel models are definitely worth considering. Because I just covered them for MotoringExposure, please click here to read all about them. Large watches are no fad, but here to stay. 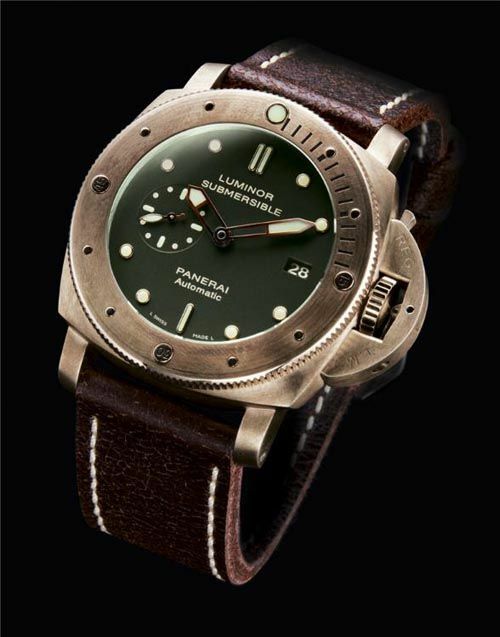 Panerai, being one of the ‘inventors’ of the current accepted watch sizes, introduces (amongst others) the PAM00382. This brushed bronze cased Panerai Luminor Submersible is definitely something different from the newly announced Luminor Marina models. The bronze, in combination with the green dial makes this watch mesmerizing, just like the yellow gold Rolex GMT-Master II with green dial. Powered by Panerai’s in-house caliber P9000 movement, this watch has a power reserve of 3 days. Other interesting Officine Panerai models that have been introduced are the Luminor 1950 Chronograph PAM00345 and the rose gold Radiomir (PAM00379). 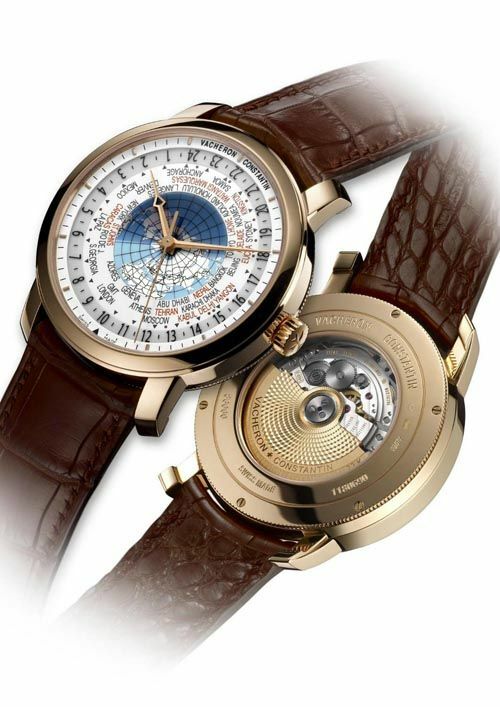 My hunger for world timers has been answered by one of the oldest watch manufacturers in the world, Vacheron Constantin. The Vacheron Constantin Patrimony Traditionnelle World Time enables simultaneous reading of all world timezones. Not long ago, I listed my top 3 of world timer watches, this new VC could easily be in there some where (click here for my Top 3 World Timer article). As you probably know, the world has more than 24 time zones. Some countries or regions love to be different, and adopted a half-hour or quarter-hour difference and therefore, we have 37 different time zones in this world. Vacheron Constantin constructed a new movement (caliber 2460WT) that takes these specific characteristics into account. The new movement is very user-friendly. Pick a reference location and place it opposite the black triangle at 6 o’clock. The requested time zone can now either be read by the hour hand or by the 24-hour disc (outer dial), while all other 36 timezones can be simultaneously read as well. Only available in rose gold case with a diameter of 42.5mm. Of course not, it is just my personal selection of favorites I’ve seen in the SIHH 2011 line-up. Later on this week, I will make another selection of interesting timepieces introduced during the SIHH 2011. In the meantime, please let me know what you think of these watches or which SIHH 2011 watches you think are very interesting. Use the comments to share your thoughts and opinion.